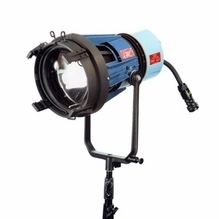 HMI daylight light fixtures are fantastic to have on hand when working in locations like studios, homes, offices, schools, commercial spaces and more, where you want to simulate natural daylight or sunlight any time of day. 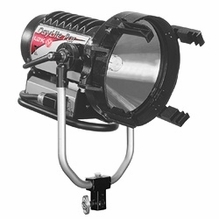 BarnDoor Lighting Outfitters supplies professional HMI light daylight 5,600 to 6,000-kelvin lighting fixtures for film, TV, video, photo and stage applications. 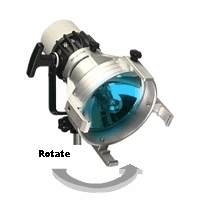 HMI stands for hydrargyrum medium-arc iodide and indicates a type of lighting that uses an arc lamp instead of an incandescent bulb to produce light. 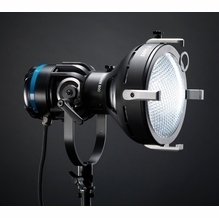 HMI lights are super bright, lightweight and cool for safe, reliable constant daylight lighting anywhere, anytime. 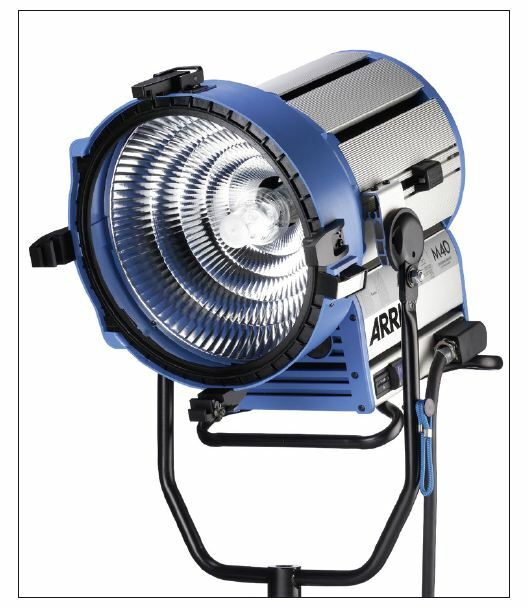 Arri 300W Fresnel / LTM Pepper 650 Speed Ring 9640, 5"
Small + Scrim Bag up to 9"
Many professionals prefer HMI lights over other types because they offer excellent color temperature when recreating daylight scenes indoors or after the sun has set. 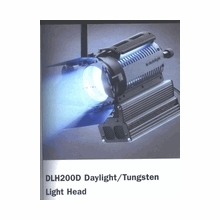 This is because HMI bulbs offer a much cooler color temperature (daylight temperature), and helps eliminate the loss of light from gels that are necessary while converting incandescent lighting. 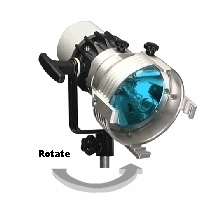 Additionally, HMI lights are highly efficient while running cooler when compared to incandescent lights. They'll help you save money and energy, as they're up to five times more efficient than incandescent lights. 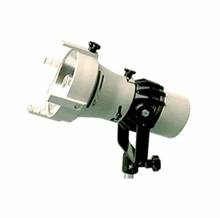 Choose from a variety of fresnels, par lights and open-face styles featured online at BarnDoor Lighting Outfitters. 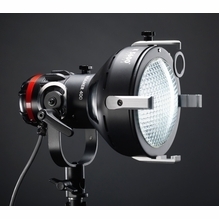 High-end HMI lighting manufacturers such as Arri, K5600 Joker, Dedolight, Frezzi, Kobold, Mole-Richardson and LTM manufacture products designed for versatility, efficiency, durability plus quick and easy setup. 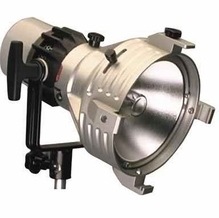 Professional daylight fixtures are sold individually or as part of HMI light kits that come with the fixture, power supply, cables, barn doors and more. HMI lights feature durable housing, international auto-sensing voltage and other handy features to make travel, storage and use simpler than ever. Questions? Friendly, expert advice is just a phone call away. Call 1-888-276-3667. Prefer to send us an email? 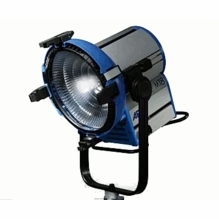 Contact us at: info@barndoorlighting.com.